Dream of whizzing through the airport, toddler in tow, with no dragging of little feet or injuring your shoulder carrying your tot plus all your luggage? Dream no more, Mountain Buggy Bagrider is making the airport struggle an absolute breeze! Earlier this year we brought the amazing Mountain Buggy Bagrider to your attention, and we’ve been eagerly awaiting its release ever since. Now for the really good news we’ve all been waiting for; the Bagrider is now available for purchase in all of its clever design glory. A stylish, durable hardshell carry-on suitcase, the Bagrider doesn’t lose any of its capacity as it morphs into a travelling seat with an easy-to-attach cushion seat liner and a three-point safety harness with adjustable straps. The Bagrider is the perfect solution to toting children aged 9 months (or the age at which they can sit up unaided) to children weighing up to 15kg (around age three). For ultimate stability and manoeuvrability, four wheels will get you to where you need to be, safely. When you have the luxury of travelling alone, or the kids have outgrown the Bagrider weight limit, it easily folds back into a normal two-wheeled configuration that conforms to cabin luggage sizes on most airlines. Amazing. 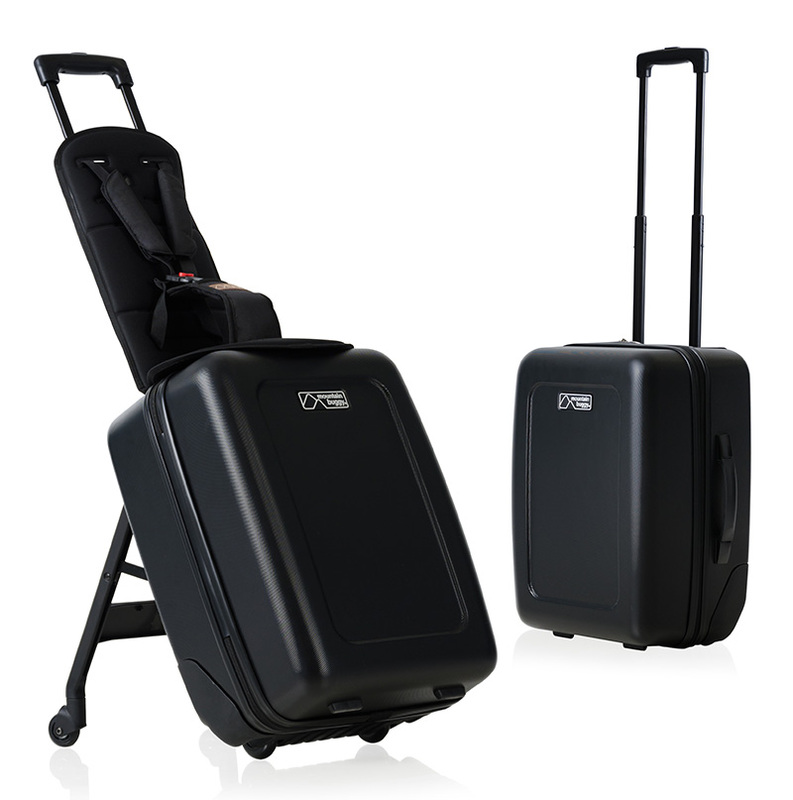 Get to that boarding gate swiftly with Mountain Buggy Bagrider, priced $149, available direct from Mountain Buggy.